I haven’t offered a reading recommendation on my blog in quite some time, but I’m inspired to do so today. 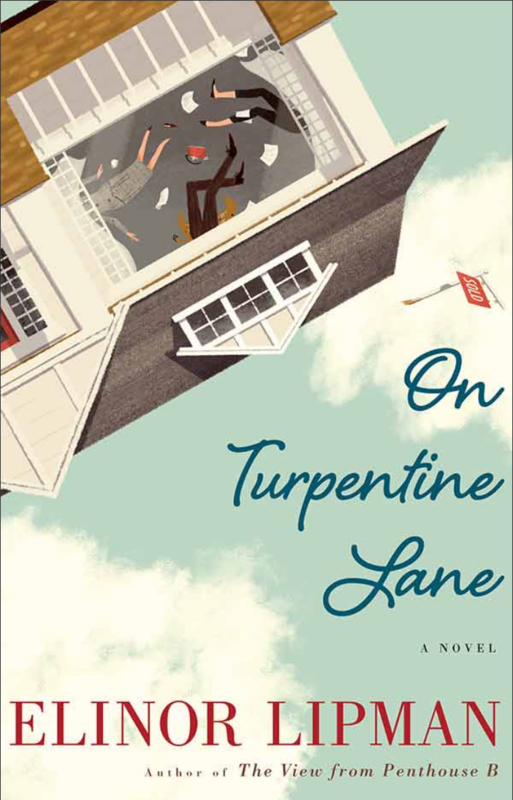 I spent the better part of my free time this past weekend reading Elinor Lipman‘s On Turpentine Lane. This author had been highly recommended by many, but I’d never actually read her work until now. It’s a peaceful life, really, and surely with her recent purchase of a sweet bungalow on Turpentine Lane her life is finally on track. Never mind that her fiancé is off on a crowdfunded cross-country walk, too busy to return her texts (but not too busy to post photos of himself with a different woman in every state). And never mind her witless boss, or a mother who lives too close, or a philandering father who thinks he’s Chagall. Ms. Lipman has drawn a wonderful, kooky cast of characters and combined it with great wit, snappy dialogue, and a nice little mystery to keep you guessing. This is the first book I’ve read in a while that I resented having to put down throughout the day in order to attend to chores and other matters. My only quibble with the story is the fact that, at times (especially the first half), Faith could be somewhat dim-witted when dealing with Stuart (although she did wise up before the halfway point in the story). In all other regards, she was quite worthy of affection for the way that she handled her family and co-workers. Her neuroses made her quirky in the best way. I thoroughly enjoyed the story’s secondary characters, all of whom were well-developed and interesting. The Frankel family certainly encountered its fair share of drama–some manufactured, some real, and always portrayed with real warmth and endearing peculiarity. There were several moments when I laughed aloud and recognized some of my own family dynamic being played out on the page. If you enjoy humorous fiction with a hint of romance and mystery, I highly recommend this book. If you grew up in a big, nosy family, I also recommend this book! And although it wasn’t a romance, Faith’s friend/crush Nick will make your heart flutter with his humor and thoughtfulness. Without spoiling anything, let me also add that I was extremely glad with how Faith’s mother ultimately handled her marital woes! Now I’m off to decide which other of Ms. Lipman’s other books I should read next.